Conference calls are a remarkably effective way to encourage better communication between multiple parties. Unfortunately, they can also become a source of frustration and wasted time if they aren’t handled and organized correctly from start to finish. 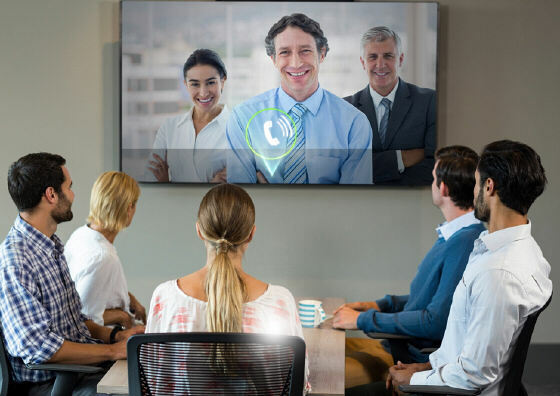 Like regular in-person meetings, proper protocol and organization significantly reduce total call time, improving efficiency while ensuring that people flow smoothly from one topic to another. Yet it isn’t just about how you talk; what you say while on your conference call matters, too. When you’re pressed for time and in a crunch, these audio conferencing responses will keep you on track. Conference call leaders should always introduce themselves, even if you’re sure everyone on the call knows you. It isn’t always possible to recognize voices immediately, especially if you’re on a device you aren’t used to using (such as a new smartphone). Keep your introduction short and focused on who you are and how you fit into the equation. If you are co-leading the call with other individuals, give them the floor for a moment or two to introduce themselves. Better yet, introduce them yourself and leave their response to a simple hello. Be warm, friendly, but concise—few people need to know your thoughts about the baseball game last night on a call. If and when people come into the call late (this will happen, even to the most punctual teams), avoid hyper-focusing on their joining. If it is absolutely necessary, thank them for joining and mention their names, but don’t stop the call to give introductions or hold lengthy conversations with the individuals. This can and will drive the fluidity of the call off-track. It’s easy to wander around, topic-to-topic, especially if you’re on a call with people you consider treasured colleagues or friends. Resist the temptation to allow friendly banter to take the conversation off-track. Remember, it isn’t rude to remind everyone on the call that, while you appreciate the banter, you’re all pressed for time and need to get through to the meat of the conference call content quickly. Providing access to a document with a rough outline of the call can also keep the conversation on track. Sometimes, it isn’t about what you say, but rather about what you don’t say (or what isn’t heard). 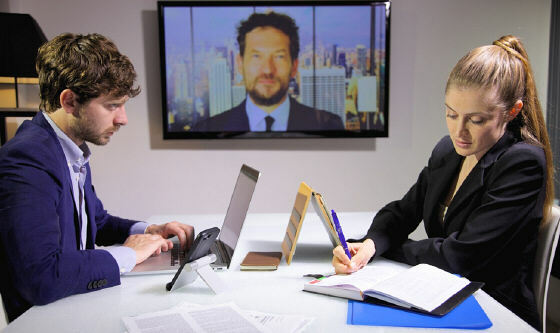 Noisy conference call environments can be disastrous, interrupting you as people ask for repeated information or wait for waves of noise to pass. If you do nothing else, set up your conference call in an area where you will have absolute silence except for the people involved with the call. Using high-quality audio conferencing services helps, too!